Today I welcome back to Ex Libris Jaye Frances who is celebrating the release of her latest novel The Beach, which explores a quite thought-provoking concept. Read on to learn more about the book, and you could even win a copy! Thank you, Stella, for having me back on ExLibris with my new sci-fi fantasy release, The Beach. Most of us seldom have the opportunity to make instant and sweeping changes in our lives. Whether it’s a financial goal, our health, or our love life, we resign ourselves to working at change a little at a time, hoping our efforts will eventually pay off. But what if we could? What if we were given the chance to create a world where we were always successful, a place where we could live forever, or walk hand-in-hand with the perfect mate? But there’s a catch! There’s only one wish to a customer. And once you choose, there’s no going back, no changing your mind. You’ll have to live—and die—with the choice and the changes you make. Still interested? Then be careful—very careful—what you wish for. Alan hesitated, feeling a little embarrassed that he had allowed this birthday party magician to bait him with the promise of proof. The very idea was ludicrous—asking Efil for irrefutable evidence to verify his identity as a supernatural being. Yet there was something about Efil’s unflinching confidence, his self-assured presence . . . and my God, the man was floating a foot off the floor! Tired of Efil’s cryptic banter, Alan began to turn away from the window, ready to insist that Efil leave immediately. At that very moment, Alan’s mind finally recognized what his eyes had refused to see. Twenty yards from shore, the white curl of a small wave was frozen, the frothy water resembling a sculpted piece of glass. In the sky, several birds hung motionless in the air, their wings stopped in mid-flight. Eight feet away, a small pirate flag tied to the overhang of the deck was stretched full and horizontal to the ground without a breath of air to support it. Next to it, the tubes of a brass wind chime leaned at an angle, the striker in full impact—and not a tinkle broke the silence. Bolting out the rear door, Alan ran across the deck and jumped onto the sand. Although afraid of what he would find, he had to see for himself. Fifty yards away, a young couple had started to spread a picnic lunch. The scene resembled a distant snapshot—the blanket caught in mid-flap, the girl balanced on one leg, pulling off the shorts covering her bikini bottom. Alan waited, half-expecting the couple to begin moving, not ready to believe the scene was anything other than a product of his own imagination—a kind of hypnosis brought on by subconscious suggestion. He blinked several times, as if Efil’s likely influence could be cleared away like an irritating speck of dust. But the pair remained as still as the bubbles of glistening foam scattered like Christmas ornaments just beyond their feet. Turning in the opposite direction, Alan spotted an old man surf-fishing in waders. Standing knee-deep in the arrested wake of a one-foot wave, he was hunched over in mid-cast, his body as stationary as a statue. Against the light blue sky, Alan could see the lead-weighted lure halted in route, the serpentine thread of green nylon suspended over the surface of the water. The sea, the chimes, the birds, the people—the world—was quiet. Everything had succumbed to a paralytic silence. Alan’s instincts told him to run, as fast and far as he could, until he escaped Efil’s reach. It wasn’t safe to hang around with someone who could stop time. Even if it was only an illusion, this guy obviously had the power to manipulate the mind. In either case, Efil was dangerous. So why was Alan hesitating? Why wasn’t he already high-tailing it down the beach? The Beach is available now in kindle eBook on Amazon at a special Introductory Release Price of $0.99 Until September 15, 2012, get it here! 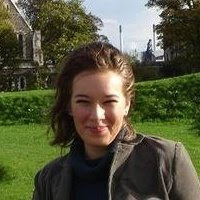 Jaye Frances is the author of The Kure, a paranormal-occult romance novel, The Possibilities of Amy, a coming-of-age story, The Cruise-All That Glitters, a humorous adult satire about looking for love at sea, and The Beach, a sci-fi fantasy about a man who is given the opportunity to receive his ultimate wish and lives to regret it. 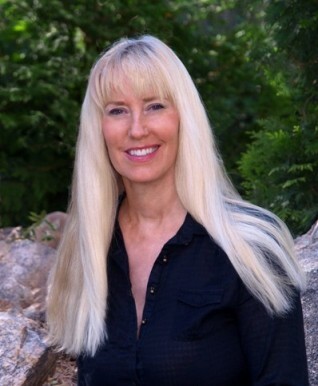 She is also a featured columnist for the NUSA SUN magazine. Born in the Midwest, Jaye readily admits that her life’s destination has been the result of an open mind and a curiosity about all things irreverent. When she’s not consumed by her writing, Jaye enjoys cooking, traveling to all places tropical and “beachy” and taking pictures—lots of pictures—many of which find their way to her website. Jaye lives on the central gulf coast of Florida, sharing her home with one husband, six computers, four cameras, and several hundred pairs of shoes. 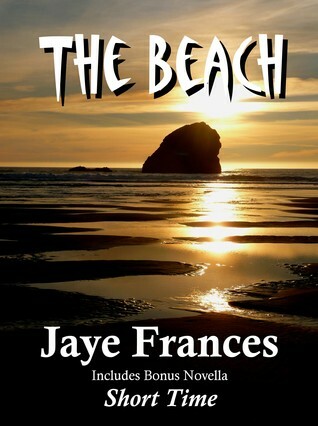 Jaye has generously offered a Kindle copy of The Beach to a lucky commenter! Giveaway is open worldwide and ends on 2 September 2012!